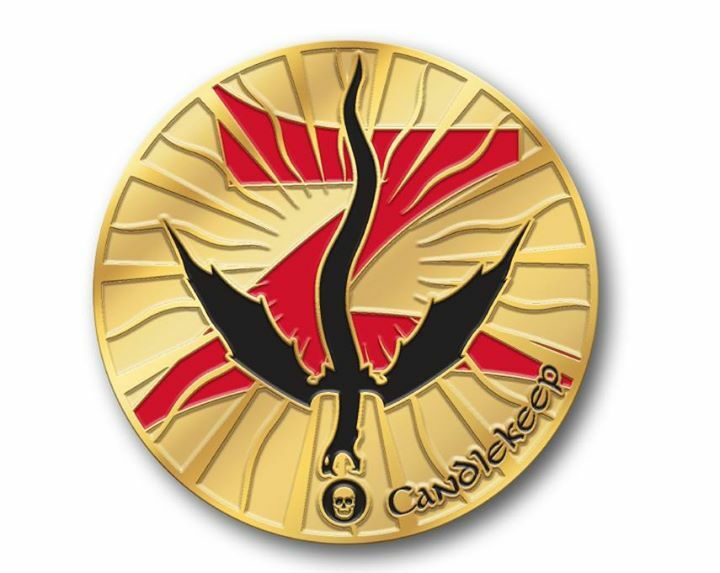 In six weeks, we will gather for the fifth annual Candlekeep Presents seminar at GenCon 2016! This fan-run event is the center of discussion, debate, and enjoyment for all things Forgotten Realms at GenCon, and we have a great array of surprises in store for our guests. As with the last two years, we’re reaching out to the fan community to help defray the costs of some of the handouts we’ll be providing, including this year’s commemorative pin. Unlike last year, we’re coming out of the gate planning two pins for this year—one for attendees of the seminar (and remote attendees), and another to match the special Harper pin from last year. All of the reward levels include shipping within the domestic U.S. or pickup at GenCon. If you’re outside of the States, please send a message after you contribute so we can communicate any additional shipping costs. As always, thanks to everyone who makes this annual gathering possible. See you in Indianapolis! The Candlekeep Presents seminar will be held Saturday night, August 6, at GenCon 2016 in Indianapolis, IN. The event itself is free to anyone with a GenCon badge, and we want to keep it that way. This funding will allow us to continue giving out the goodies we have been, and still make sure that everyone at GenCon that's a fan of the Forgotten Realms can participate. YOU DO NOT HAVE TO CONTRIBUTE TO THIS EFFORT TO ATTEND. Simply amazing. In less than two days, we hit our initial funding goal. If you look to the right, you'll notice that I've raised the funding goal to $900. This increased amount will allow us to provide some cool prizes for our contests and giveaways, as well as make sure we have enough to cover more pins should the attendance go up beyond what we currently expect. Whether we hit that amount or not, thank you all for contributing! 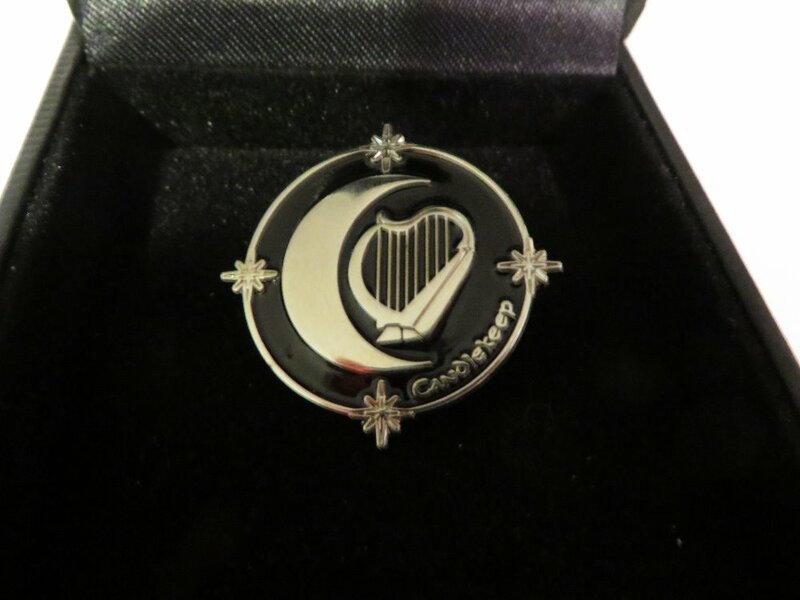 Harper Special: Since the 2013 Harper pin was so popular that there are actually no more available, last year we went and took the extra step of ordering a special pin that would be re-issued as needed. Still a beautiful Harper badge, but not tied to any one seminar or convention. Zhentarim Special: Seeing as their perennial nemeses, the Harpers, got their own special pin last year, it’s time for the Zhentarim to get their turn! Combining the classic iconography of previous eras with more modern takes on the organization, this pin embraces the enduring legacy of the Black Network—and makes sure observers will notice and give heed to anyone bold enough to present it openly. 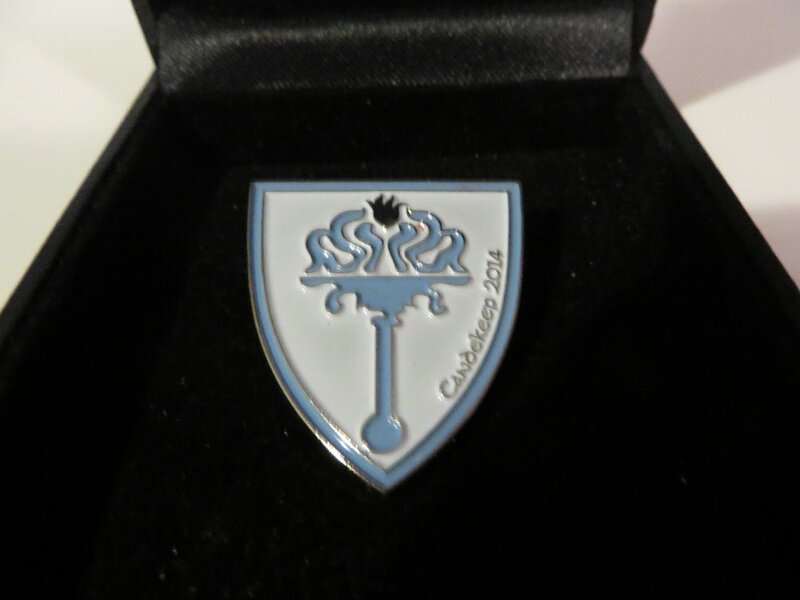 Lords of Waterdeep: This is the pin from our 2014 seminar, and is the emblem of the Lords of Waterdeep. Comes complete with the “Candekeep 2014” misprinted/typo! Primordial Goddesses: This pin is from the 2015 “Women of the Realms” seminar, and combines the symbols of the twin goddesses of creation—the moon-goddess Selûne and Shar, goddess of night and loss—with that of their daughter, the goddess Mystra. This is so awesome! I am definitely joining!! I'm after both of this year's pins as well. Any chance of a pledge level to get both of them? 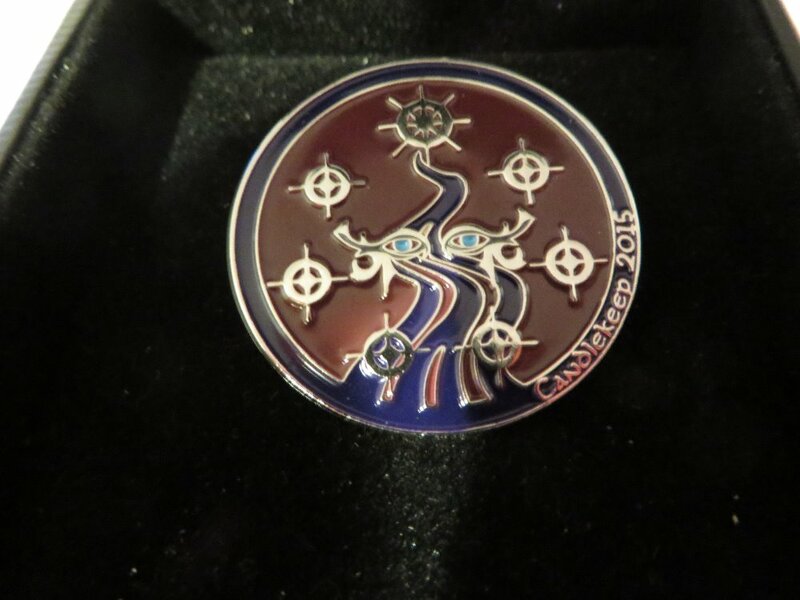 Will there be a level for this year's pin and the Zhentarim pin? Can't make it to Gen Con this year? 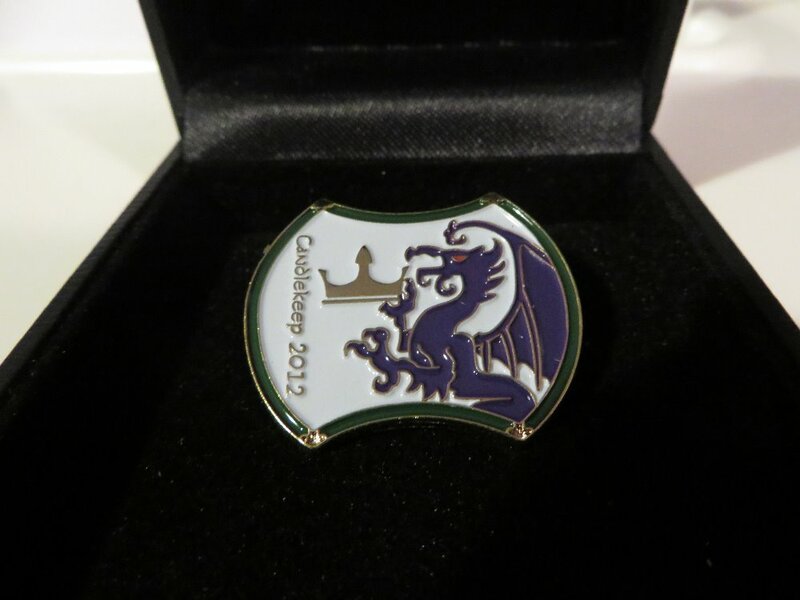 Contribute at this level, and we'll send you one of this year's pins! Couldn't get one of those lovely Harper pins last year? We still have some, and contributing at this level will allow you to grab one of your very own. Can't come to GenCon this year? 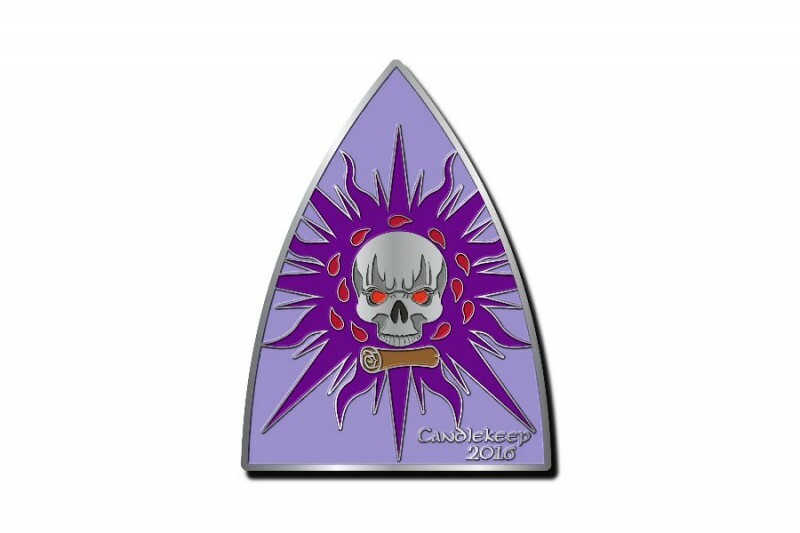 Want both the death cult pin and that cool Zhentarim collectible? This is the level for you! At this level, you'll get a Harper pin (see Update #1) AND a Zhentarim pin (see Update #2), along with a Candlekeep Presents lanyard to wear both! At this level, get a pin from 2012, 2014, 2015, the 2016 pin, the special Harper and Zhentarim pins, and a lanyard to keep them all together. I adore these pins! Why have they not been in my life? !